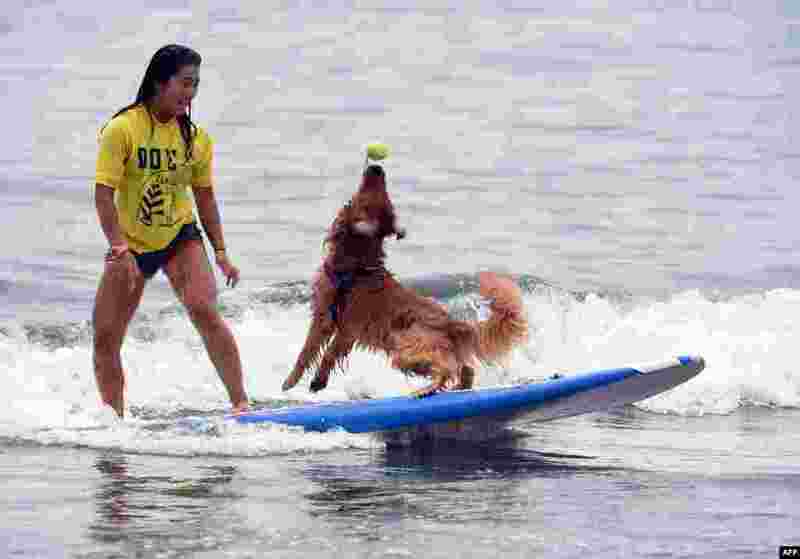 ৬ Bell (R) catches a ball next to owner Nao Omura as they ride on a wave during the animal surfing portion of the Mabo Royal Kj Cup surfing contest at Tsujido beach in Fujisawa, Kanagawa prefecture, Japan, July 6, 2014. 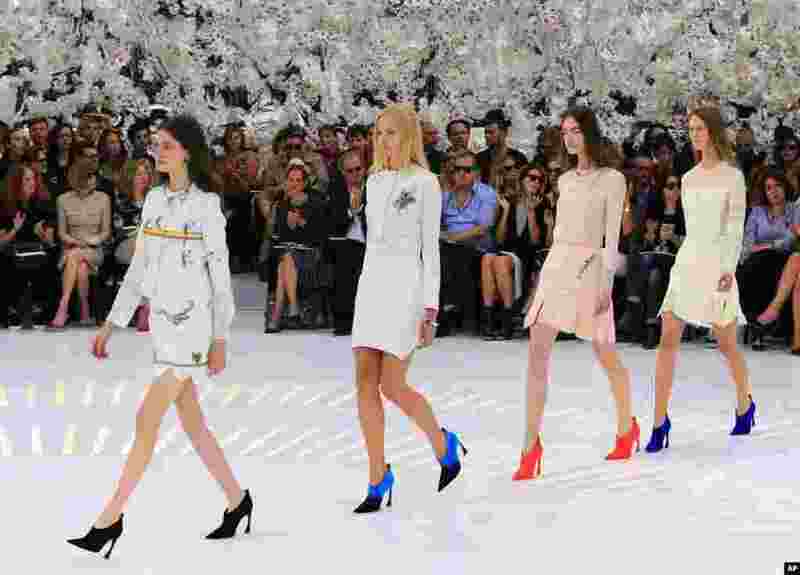 ৭ Models wear creations by Belgian fashion designer Raf Simons for Dior's Fall-Winter 2014-2015 Haute Couture fashion collection, in Paris, France. 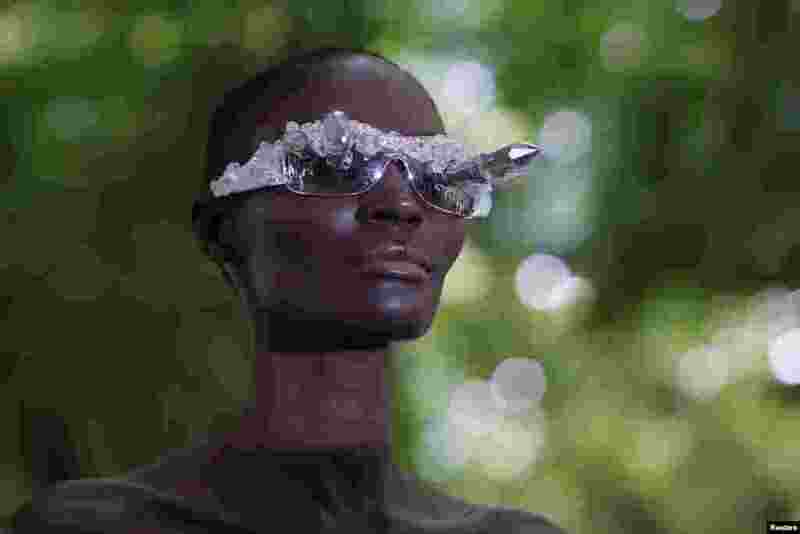 ৮ A model presents a creation by Bulgarian designers Livia Stoianova and Yassen Samouilov as part of the Haute Couture Fall/Winter 2014-2015 fashion show for fashion house On Aura Tout Vu in Paris, France.